August 17, 1927: A jubilant crowd of 25,000 gathered at the site of the present-day Charles B. Wheeler Downtown Airport to listen to speeches given by Charles Lindbergh and city officials in order to dedicate Municipal Airport. Several Kansas City leaders, including a previously-skeptical City Manager Henry F. McElroy, had flown in from old Richards Field in Raytown and landed on the soggy turf known as "Peninsula field," just north of downtown Kansas City. 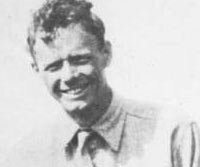 Then, famed aviator Charles Lindbergh landed in his plane, the Spirit of St. Louis, and ushered in a new era of aviation in Kansas City. 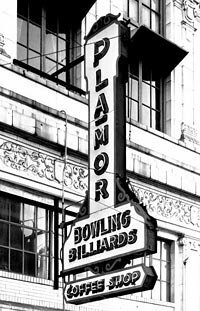 November 24, 1927: The Pla-Mor Ballroom, the largest indoor amusement center in the country, opened at 3142 Main Street to a crowd of 4,100 who reveled at its unprecedented size and modern style. The facility followed in the footsteps of the Roseland Ballroom in New York, the Graystone Ballroom in Detroit, and the Aragon Ballroom in Chicago at the height of the Jazz Age of the 1920s. March 2, 1930: A grand opening ceremony commemorated the new General Hospital No. 2, which soon became known as one of the nation's finest public hospitals serving African Americans. The new hospital unveiled intense divisions over racial segregation and machine politics, but it did manage to fulfill a longstanding demand for medical services and medical career training for the black community. The story of General Hospital No. 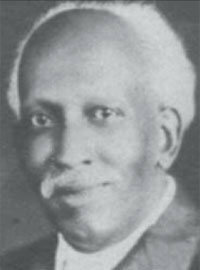 2 dates back to the efforts of Thomas C. Unthank, a prominent black physician living in Kansas City at the turn of the 20th century. December 16, 1931: Nell Donnelly and her chauffeur, George Blair, were kidnapped. Donnelly had become famous after her 1916 founding of the Donnelly Garment Company, which sold stylish but affordable dresses for daily wear by ordinary women. Backed by the sales of “Nelly Don’s,” as the dresses became known, the company grew into a multi-million dollar business with over 1,000 employees in the 1920s. Donnelly’s financial success made her a target for kidnappers hoping to garner a large ransom. 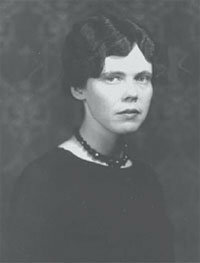 May 27, 1933: One of Kansas City's most sensational and ultimately tragic crimes began with the kidnapping of Mary McElroy, the daughter of controversial city manager Henry F. McElroy, who had close ties to the political machine operated by "Boss" Tom Pendergast. She was released after 34 hours of captivity, following payment of a $30,000 ransom, but she never recovered from the emotional turmoil that ensued. In the appeals that resulted from the incident, the U.S. Supreme Court upheld the death penalty as a legally acceptable form of punishment for kidnappers. June 9, 1933: The Jackson County Court awarded a $2,073,609 contract to the Swenson Construction Company for construction of the Jackson County Courthouse. The opulent Art Deco-style 300-foot tall building would reside alongside Kansas City's skyscrapers and provide much-needed space for the court system. Equally important, its construction along with dozens of other projects completed as a part of Kansas City’s “Ten Year Plan” would provide jobs to hundreds of beleaguered Kansas City residents then suffering from the economic catastrophe of the Great Depression. June 17, 1933: Four law enforcement officers and their prisoner, Frank Nash, were fatally wounded in a botched rescue attempt outside Union Station. The story of the Union Station Massacre, as it became known, centered on Frank Nash, who had been convicted of three separate crimes of a serious nature: murder, armed burglary, and then assault. Thanks to his ties to the criminal underworld, however, his associates were able to arrange pardons for the first two crimes. After serving six years in prison for the third, he escaped from the United States Penitentiary in Leavenworth, Kansas in October, 1930. October 1, 1933: During a bright autumn day, nearly 2,000 people gathered in the shade of trees along the south side of Brush Creek to officially celebrate the opening of the University of Kansas City. Inspired speeches by Chairman of the Board Ernest E. Howard and Dr. Burris Jenkins, a prominent local minister, declared the founders' intention that the university should serve as an institution of opportunity for Kansas Citians who could not travel far away to attend college. The following day, on October 2, classes began with 264 students and 17 instructors. November 4, 1934: Tom Bass died at the age of 75, following a celebrated career as a horse trainer and a founder of the American Royal in Kansas City. Bass, the son of a white man and a young female slave, was born a slave in 1859 near Columbia, Missouri. He gained his freedom after the Civil War and moved to Mexico, Missouri, where he gradually developed non-violent horse training methods that differed markedly from the prevailing methods that emphasized beating and yelling at the horses. 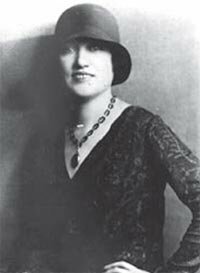 March 24, 1935: Annie Chambers, a former prostitute and Kansas City brothel owner, passed away at the age of 92. By the time of her death, Chambers' own life had neatly paralleled Kansas City's untamed years of the late nineteenth century that were followed by extensive reform efforts in the early twentieth century. Born near Lexington, Kentucky, in 1842, her name was Leannah Loveall. The young Loveall encountered her first major tragedy when she estranged herself from her pro-Confederate father by participating in a parade honoring Abraham Lincoln.